All our wedding packages include a complimentary one-night stay in one of our beautifully appointed Bridal Suites on your wedding night plus breakfast for the newlyweds the following morning. Hotel accommodations offered at a special rate for wedding guests. 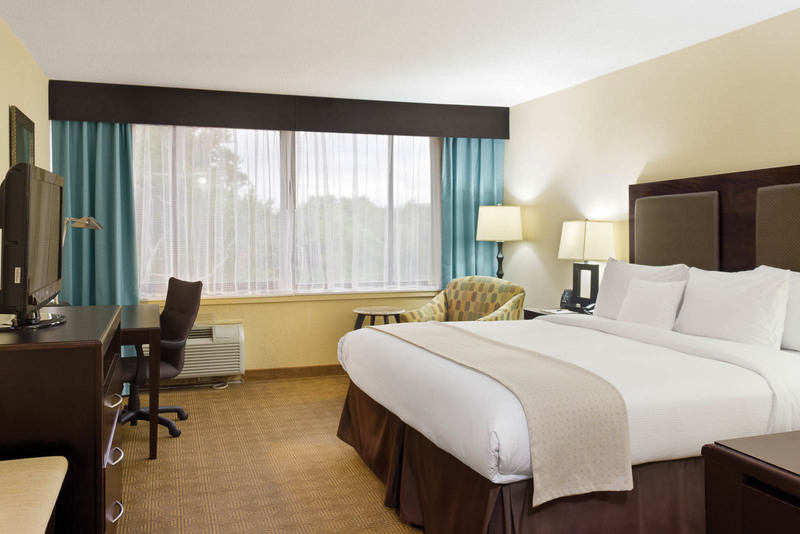 For more information about the DoubleTree by Hilton of Tinton Falls-Eatontown or to make a reservation, please visit the DoubleTree website. Reserved for our Sterling Ballroom brides and grooms, this opulent suite comes equipped with large, flat-panel HD TVs and HD channel line-up, separate living room and bedroom areas, one king size bed, gas fireplace, and luxurious bathroom with granite counters and spacious walk-in shower with a rain showerhead. 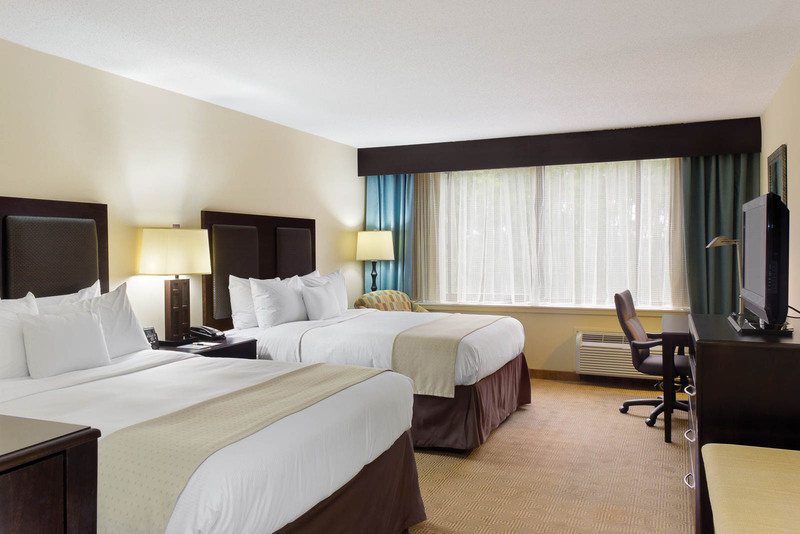 Complimentary wifi, coffeemaker, safe, and mini-fridge are sure to make your stay more convenient. 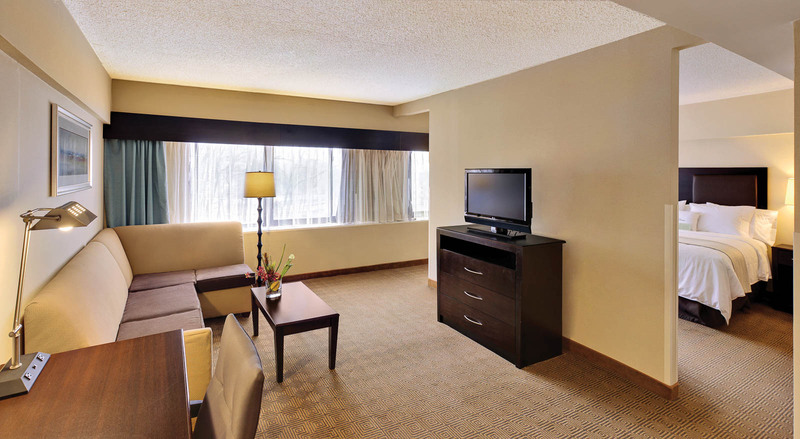 For brides and grooms getting married at other venues, we offer a well-appointed Junior Suite with large flat panel HD TV and HD channel line-up, full size sofa bed, modern bathroom with granite countertops, mini fridge, coffeemaker, safe, complimentary wifi, and all the standard amenities. One king bed room with plush-top mattress, luxurious linens, down comforter, and jumbo pillows, flat panel HD TV and HD channel line-up plus HBO, CNN, ESPN, mini-fridge, safe, coffeemaker, complimentary wifi, and modern bathroom with granite countertops and Crabtree & Evelyn® bath products. 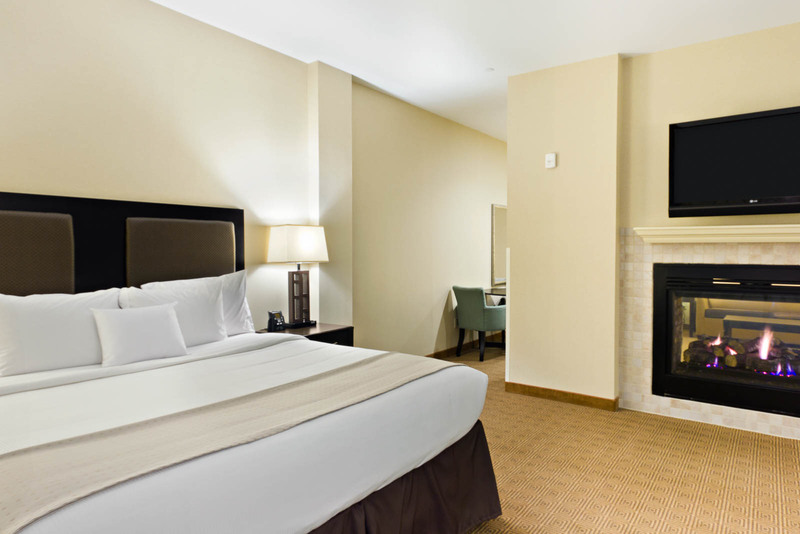 Two queen beds with plush-top mattresses, luxurious linens, down comforter, and jumbo pillows, flat panel HD TV and HD channel line-up plus HBO, CNN, ESPN, mini-fridge, safe, coffeemaker, complimentary wifi, and modern bathroom with granite countertops and Crabtree & Evelyn® bath products.